(Chairman of Buckingham Gardens Trust) used her vast knowledge of garden history to give us an entertaining and informative talk on Arts and Crafts Gardens. Sarah began by looking at the important influence played by William Morris and John Ruskin on this movement which encouraged the return to handcrafted furniture, household items and print-making, inspired by the natural world. Morris codesigned, with Philip Webb, his Red House at Bexleyheath in Kent. Although, he didn’t want to continue his career as an architect, his home led to the rise of new buildings built from local materials, often rendered in appearance and not afraid of displaying a dazzling array of brick, tile, timber and slate details. To accompany and often clothe these new houses (big and small) the gardens took on a pre-Raphaelite form harking back to Medieval courts and garths. A series of ‘rooms’ linked by walkways and elaborate steps, with pergolas, small buildings, crafted gates and water features such as rills. The use of local materials in different combinations connected the gardens to their house and wider landscape, and everyday objects such as stone troughs and water butts became incorporated as part of the design. 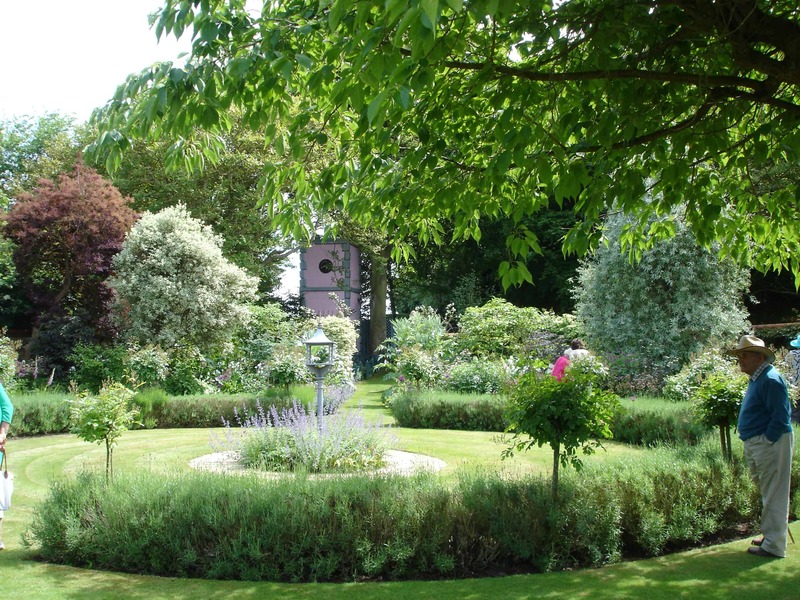 Riotous colours, imaginative topiary and exuberant planting completed these romantic gardens. Sarah looked at the work of the ‘Golden Pair’ – Gertrude Jekyll and Edwin Lutyens but also touched on others such as Thomas Mawson. 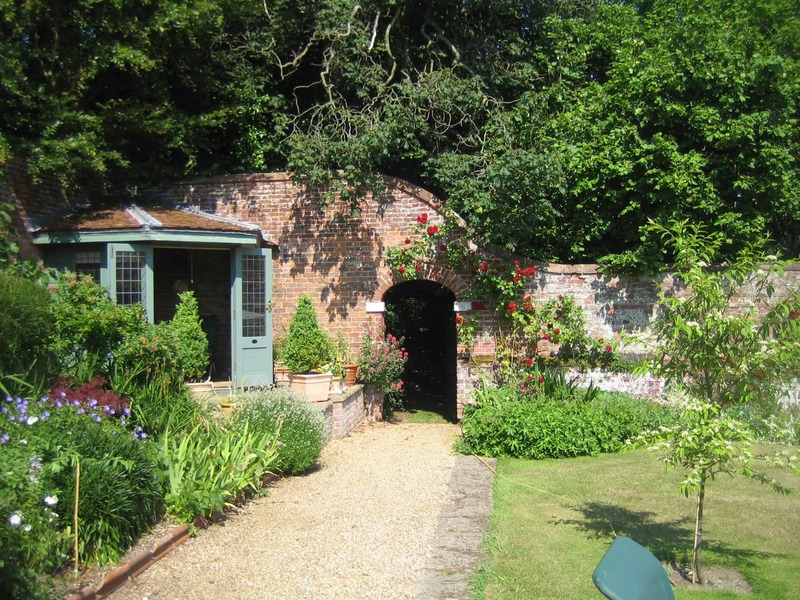 The talk was illustrated by photographs of the Red House, Kelmscott (Morris’s subsequent home), Hidcote, Kiftsgate, Hestercombe and Rodmarton (the latter – Sarah’s top recommendation to visit) and in our own county – Voewood at Kelling and Happisburgh Manor with their butterfly-shaped houses made of local flint and brick. Our many thanks to Sarah for brightening up a grey, drizzly afternoon and to her niece Daisy for displaying a selection of Sarah’s tempting books for us to buy.